The very first thing I should mention is that when it comes to Facebook, there’s really no such thing as “hack codes.” The title of this article is partially tongue-in-cheek, because with Facebook, the rules change so often that one “Facebook hack” code that works today will likely not work tomorrow. Facebook designers change links and features at whim – and you’re left trying to guess what’s coming next and why your link or plug-in no longer works. I’ve previously written a couple of articles here about Facebook, such as the controversial method on how to view private Facebook profiles, or how to email mobile photos to your Facebook account. However, in addition to those tips, there are other codes and features that aren’t immediately obvious to most users – so I wanted to provide a list of the top 6 of my favorite Facebook “hack” codes and tips to other Facebook enthusiasts out there. (this seems to work best), and you’ll discover a pretty cool display of lens flare effects. common one mentioned across the net – but it’s still kind of cool and fun to play around with. #2 – Aye, Make Yer Profile a Pirate’s Page You Landlubber! and you’ll have a list of all languages available to you. Notice the English Pirate option? click a post as pleasin’ to me eye (like) or blabber t’yer mates (comment). 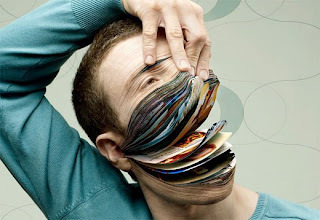 It certainly removes the “boring” factor from your old standard Facebook pages. heads upside down so they can read it. Most of the people you’ve seen doing this have likely installed a Facebook app just to do so. FlipText to generate your upside down status update. resources to do so should send in a contribution to Arthur Sabintsev for his efforts. That’s right, you’re not downloading a single picture – but an entire album. offline for a few days? Maybe you’re taking a trip and won’t be anywhere near a computer for a week. Facebook login details. Sendible connects directly with your Facebook account. The, under “New Messages” click on “Status Updates“. Look, don’t feel bad about it. When I first joined Facebook I left my online status wide open. see your online status, hover your mouse over the green dot to the right and click on “Go Offline.” Now, you appear offline to only those certain friends. to suit your life and your personality. soon but I'm having a difficult time choosing between BlogEngine/Wordpress/B2evolution and Drupal. The reason I ask is because your design seems different then most blogs and I'm looking for something unique. wish for enjoyment, as this this web page conations really fastidious funny information too. What's Taking place i am new to this, I stumbled upon this I have found It absolutely helpful and it has helped me out loads. I am hoping to contribute & assist other users like its helped me. Good job. you're actually a just right webmaster. The site loading pace is incredible. It kind of feels that you're doing any distinctive trick. Moreover, The contents are masterpiece. you've performed a magnificent activity in this matter! and we are looking to swap solutions with other folks, be sure to shoot me an email if interested. I'm amazed, I must say. Rarely do I come across a blog that's equally educative and engaging, and without a doubt, you have hit the nail on the head.